Set in a remarkable location, 100 metres from Gaudi’s La Pedrera and Paseo de Gracia shopping Boulevard, The One Barcelona GL features a rooftop panoramic plunge pool and a sundeck with views of... Friendly staff and helpful, room and bathroom very clean. Located just off Barcelona’s Passeig de Gracia, Gallery Hotel offers a free sauna and gym, and a seasonal rooftop terrace with a pool and city views. Rooms include free Wi-Fi and free water on... Everything, the beds were amazing. All requests were met with a smile. Offering a patio and city views, The Wittmore - Adults Only is located in Barcelona in the heart of Ciutat Vella, 400 metres from Picasso Museum. Free WiFi is offered throughout the property. Magical hidden luxury boutique hotel located in the Gothic quarter of Barcelona. Set the centre of Barcelona, 400 metres from Picasso Museum and Barceloneta Metro Station, Duquesa Suites Barcelona features a year-round outdoor plunge pool, sun terrace and free WiFi. The staff and facilities were excellent! This modern hotel is centrally located 5 minutes’ walk from Barcelona’s Urquinaona Metro Station and 400 metres from the Palau de la Musica. It offers 24-hour reception and free Wi-Fi. Beautiful new hotel in the heart of Barcelona, nice staff! Set on Plaza Reial and just off Las Ramblas, Hotel DO Plaça Reial features a spa, a rooftop pool and stylish rooms. Bars and cafés can be found in the square and in the surrounding Gothic Quarter. The staff, the hotel in general went overboard to make our stay exceptional, and it was. Set in Barcelona’s Born District, right beside Ciutadella Park, Motel One Barcelona-Ciutadella offers modern, air-conditioned rooms with a private bathroom and an interactive TV. Location, right across from a great park and walking distance to all the attractions. Featuring a seasonal rooftop plunge pool with views and a solarium, Room Mate Anna is set in Barcelona City Centre. The hotel features cutting-edge and modern design as well as personalized service. Location was superb. Very close to the metro service and the airport bus service. Offering a year-round heated outdoor pool with city views, Ohla Eixample is a stylish boutique hotel located 10 minutes’ walk from two of Gaudi’s major works, La Pedrera and Casa Batlló. Really good hotel. Service exceeds expectations. Thank you. The stylish Hotel Casa Camper boutique hotel is located in central Barcelona, between Las Ramblas and MACBA art gallery. Each room has a separate lounge, and there is a free 24-hour buffet. Location, room, personnel, snacks and drinks availability, wi-fi speed, quietness, terrace, beds. El Palace Barcelona is located in Eixample District, close to the Ramblas, the main shopping area and Barcelona’s main tourist attractions. It offers a Mayan-style luxury spa. We stayed 4 nights and checked out on 26-Jun. Providing free WiFi, CoolRooms Maldà offers rooms in Barcelona, 200 metres from La Seu, Cathedral of Barcelona. The room condition was excellent! The staff was very friendly. Situated in Barcelona in the Catalonia Region, 400 metres from Portal de l'Angel, Yurbban Passage Hotel boasts an outdoor pool and spa centre. Guests can enjoy the on-site restaurant. Quite simply the best boutique hotel in Barcelona! What hotels in Barcelona are good for couples? These hotels in Barcelona are highly rated by couples: Hotel Casa Camper, Olivia Plaza Hotel and Catalonia Magdalenes. Many families visiting Barcelona loved staying at Olivia Balmes Hotel, H10 Casa Mimosa 4* Sup and The One Barcelona GL. 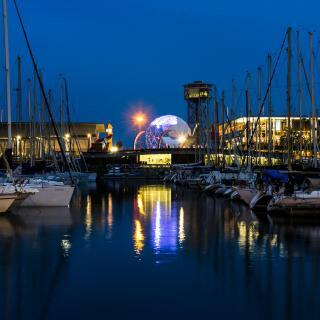 What are the best hotels in Barcelona near Barcelona El Prat Airport? Travellers who stayed in Barcelona near Barcelona El Prat Airport (BCN) have said good things about Sleep&Fly, Tryp Barcelona Aeropuerto Hotel and BAH Barcelona Airport Hotel. What are the best hotels to stay in Barcelona? Hotel Casa Camper, Olivia Plaza Hotel and Catalonia Magdalenes are some of the popular hotels in Barcelona. What hotels in Barcelona offer an especially good breakfast? For hotels in Barcelona that serve up a highly-rated breakfast, try Hotel Casa Camper, H10 Port Vell 4* Sup and Catalonia Magdalenes. On average, 3-star hotels in Barcelona cost US$98 per night, and 4-star hotels in Barcelona are US$130 per night. 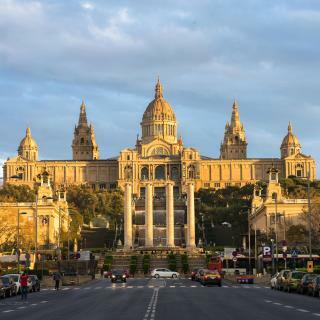 If you're looking for something really special, a 5-star hotel in Barcelona can on average be found for US$314 per night (based on Booking.com prices). 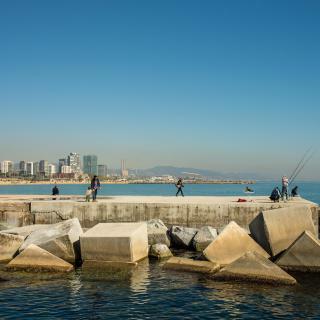 What is the best neighbourhood to stay in Barcelona? Ciutat Vella, Eixample and Gràcia are popular with other travellers visiting Barcelona. The average price per night for a 3-star hotel in Barcelona this weekend is US$273 or, for a 4-star hotel, US$377. Looking for something even fancier? 5-star hotels in Barcelona for this weekend cost on average around US$674 per night (based on Booking.com prices). What hotels in Barcelona have nice views? Olivia Plaza Hotel, Iberostar Paseo de Gracia 4* Sup and Catalonia Passeig de Gràcia 4* Sup have received great reviews from travellers in Barcelona regarding the views from their hotel rooms. On average, it costs US$99 per night to book a 3-star hotel in Barcelona for tonight. You'll pay on average around US$131 if you choose to stay in a 4-star hotel tonight, while a 5-star hotel in Barcelona will cost around US$290 (based on Booking.com prices). 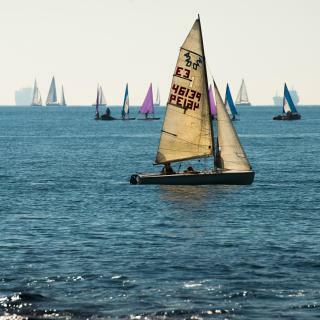 Lively and colourful Barcelona faces the Mediterranean Sea and features the world's top city beaches, including Sant Sebastià, Barceloneta and Somorrostro beaches. 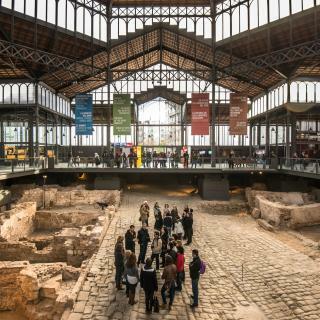 There is plenty to see and experience in this city of great architecture: the historic Gothic Quarter, the amazing modernist design of Gaudi’s creations and the popular Las Ramblas. Barcelona is famous for its street performances, colourful markets and great Catalan dining. Easy to explore on foot or using the reliable metro, the city is full of things to do and views to see! 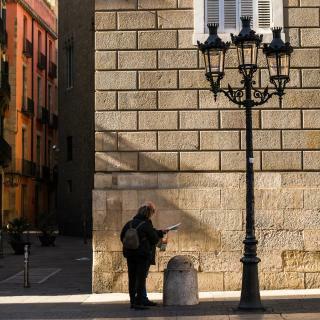 Discover the hidden squares and architectural pearls of Ciutat Vella and visit the locals’ favourite meeting spot, La Plaça Catalunya. Wander the sunny beachfront or watch an FC Barcelona game at Camp Nou, the largest stadium in Europe. 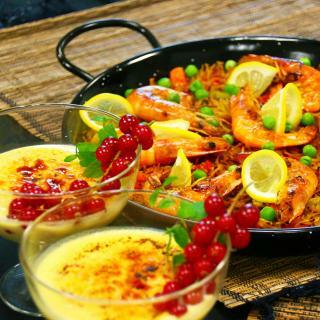 The city’s most popular food quarter is Barceloneta with plenty of popular restaurants serving seafood and tapas. If it’s shopping you’re after, visit the Grácia and return to the Ciutat Vella for small shops full genuine souvenirs, designer fashion and fresh produce. 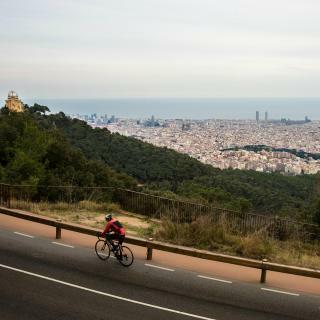 Getting to Barcelona is an easy trip from El Prat International, Girona or Reus Airports. Find modern hotels, fancy apartments and cheap hostels on Booking.com, sure to have the perfect accommodation for your holiday! We are undergoing a series of dental treatments at a clinic in Barcelona and Ilunion Bel Art is convenient for this. Our original room was on the front of the hotel and was too noisy from the traffic and we knew we would not be able to sleep. We asked to be moved to the rear of the hotel where we have had rooms before and were allocated one of the newly refurbished rooms which was excellent. Our only minor dislike in the room was the modern washbasin which is impracticable for washing. shaving etc as it is not a bowl, more of a flat tray, which means that you can not create any depth of water. Would not hesitate to recommend this hotel. Beautiful hotel, we arranged to stay here for my partners 50th birthday. Room was clean and the bathroom had the most stunning shower. Upon arrival we were early but this wasn't a problem as we were able to put our bags in safely until our room as ready. The staff were very polite and informative. We were offered a glass of cava, juice or water. The hotel breakfast is plentiful, although felt a little over priced, we only had this on the morning of my partners birthday. However the staff brought over a surprise glass of bubbly each and a cake with a candle, wishing him a happy birthday. Nice touch. The hotel is situated close to the harbour, with plenty of bars and restaurant. Easy walking distance to The Ramblers and many other attractions. The only downside was I did specify a room with a view, but a little disappointed with a view of scaffolding and two fully laden skips below due to next door renovations which was a little noisy early in the mornings. Overall I would definitely stay here again. The whole place was lovely. Ate at Suamu, which is open from 6am to 3am daily. Ate at Suamu, which is open from 6am to 3am daily. Just 2mins away from hotel. Ate at Piscolabis and LBD which is a Italian restaurant behind piscolabis. Hotel itself has a restaurant that serves Catalan fare but unfortunately, I didnt get to try it because I had plans for most of my meals outside of hotel with friends. Le Corte Ingles which is a huge mall offers a tourist shoppers card which gives a 10% rebate off your next purchase. Has a supermarket which is huge and you can get really fresh fruits there and keep them in the room's mini bar. Metro which is 5-6mins walk away takes you to most of the places of interests. Places i visited included La Sagrada Familia, Montserrat, Park Guell, La Rambla, the beach, Gothic Quarters, watched the Flamenco. Very easy to navigate. The gothic section is the place to stay in Barcelona. The gothic section is the place to stay in Barcelona. My daughter and I stayed a week in 2 separate hotels in the gothic section. Hotel Condal was extremely good value for money. The streets are very noisy for most of the night but that just added to the atmosphere in a city which doesn't seem to go to sleep. Stoke Bar has a cheese platter to die for.